The Football Name Debate: Are We Missing the Point? “The debate is over about the R-word; it’s now about whether if it’s proper to have a football team in this country carry on using a defined slur.” That was the closing statement by Jacqueline Pata, the Executive Director of the National Congress of American Indians (NCAI). Her comment capped off a forum at the Center for American Progress, Missing the Point: The Real Impact of Native Mascots and Team Names on American Indian and Alaska Native Youth. 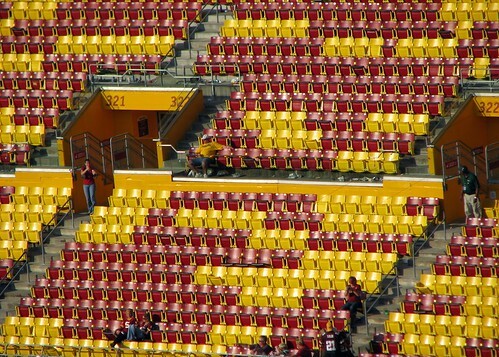 The Center released a new report that examined several bodies of research about the harmful impact of mascot representations on the self-esteem of AI/AN youth, how they create a hostile learning environment, and the decades-long movement to retire them. The report by Erik Stegman and Victoria Phillips looks at recent key findings and incorporates statements from several Native youths, providing context that is relevant today regarding the use of these mascots and imagery. Sitting on today’s panel was Pata; Travis Waldron, Sports Reporter, ThinkProgress.org; Mark Macarro, Chairman, Pechanga Band of Luiseño Indians; Dr. Michael Friedman, Clinical Psychologist; and Erik Stegman, Associate Director, Center for American Progress. The forum started with very poignant remarks by fifteen-year-old Dahkota Franklin Kicking Bear Brown, a student at Argonaut High School in California, and a Champion for Change at the Center for Native American Youth. Congresswoman Betty McCollum (D-MN) also spoke briefly at the event. Yeah so this week’s Throwback Thursday got a tad hindered by me deciding to take the entire day off to enjoy yesterday’s GLORIOUS-ness. I mean who could resist the temperature, the sun, the light breeze, the blossoms, the flowers, the birds…..I could go on and on, but you know exactly what I’m talking about. To remedy the situation I’ve come up with 5 posts that can seriously help shape the future of your DC weekend. 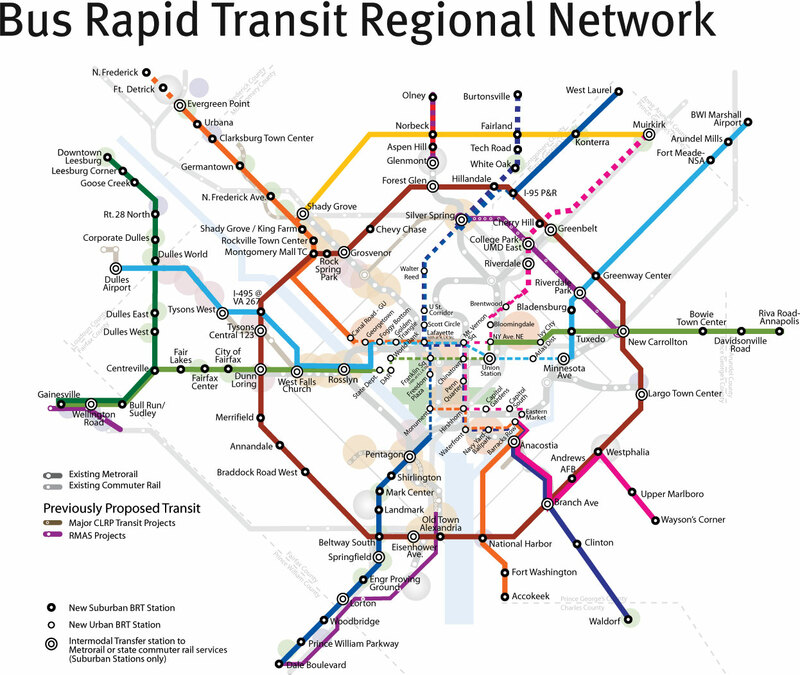 In that spirit, it’s been real hard to find a futuristic photo of DC that doesn’t have the Capitol exploding or zombies running down Pennsylvania Avenue tearing out entrails, so I ran with a vision of DC-VA-MD rapid bus transit routes. This proposal, from WAY back (cough 2010), would have buses “act somewhat like rail in that vehicles would make few stops and run between them fairly quickly. 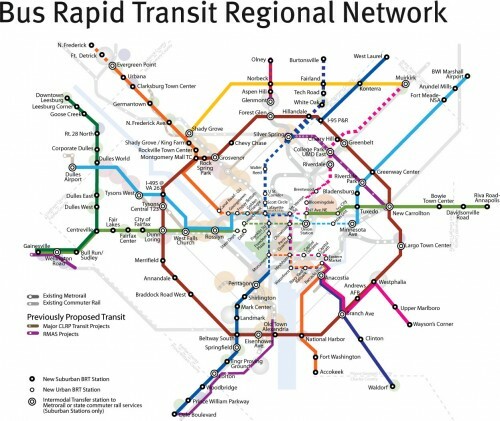 It would most resemble the Metro lines that are currently on or near freeways, since these stations would be close to the freeway and therefore more like park and ride lots with potential for development rather than serving commercial corridors as underground Metro lines do.” Alas, I don’t see this happening, but it does propose a pretty awesome hypothetical DC transit system. Silver line, why hast thou forsaken us?!!!! Without further adieu, here are 5 articles that should shape your future DC plans – be they not already be predetermined….think on that peoples and Neil deGrasse Tyson! IMHO the concert of the weekend is The Sounds at the 9:30 Club, and Mickey tells you why in his recent Love Letter To The Sounds. With spring comes new, of-the-season alcoholic beverages and Aaron’s throws down some ideas for you with Top Drink Picks for Spring. Get off the tourist beaten path with a hidden DC springtime gem that has serious history. Monumental: White House Rose Garden. 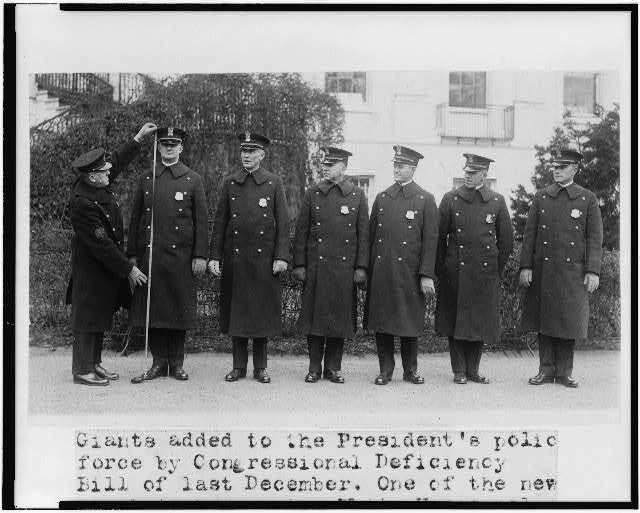 This evening I literally heard another person lament the height limit in DC, so knowing that this will inevitably come up…again….and again….and again…..get your facts straight with DC Mythbusting: The Height Limit. This way you can speak eloquently the next zillion times someones brings it up. 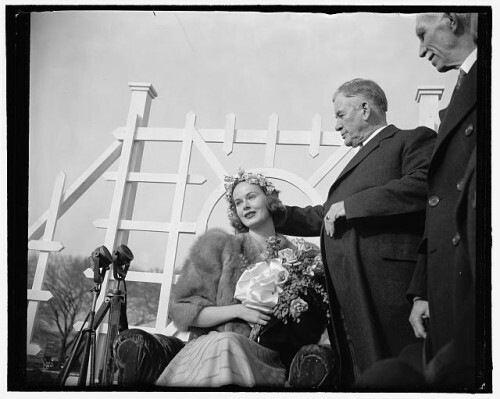 In honor of the first day of the 2014 Cherry Blossom Festival, I’ve pulled the above photo from 1939 of then Senate Majority Leader Alben W. Barkley placing festival the crown on the head of Peggy Townsend, Cherry Blossom Queen. Super retro. Super cool. Ah, the good old days. Now let’s reach back to this week in bygone WeLoveDC years to surface five oldie, but goodie articles that will make your week sing. Learn how Katie (a non-runner) learned to love it by training for the Cherry Blossom 10-miler. On Running and Falling In Love. Psst…the Tidal Basin isn’t the only spot for cherry blossom viewing. The Insider’s Guide: Cherry Blossom Bliss. While Throwback Thursday or #tbt generally involves posting photos from “a while ago,” we thought it was high time we bring back some of the good ole articles from our 7 years of existence (Damn, how’d that happen?) Each week we’ll feature: 1) five oldie, but goodie articles to get your DC blood pumping, and 2) a super cool, retrospective photo of DC from days gone bye. Above is the block of 3212-3222 Sherman Avenue, NW on May 1909. What’s it look like now? Check it out. With the SMarch we’ve been having, who hasn’t been consuming more booze. The thought of having it delivered to my doorstep as amazeballs. Know The Law: Buying Liquor Online. Waking up at weird hours due to last weekend’s time change? Check Where To Eat Breakfast When You’re Up With The Sun. Tourist season is upon us, so read DC Mythbusting: Monumental Myths to lay the smack down and set them out-of-towners right. Every year, National Geographic celebrates individuals who travel the globe with passion and purpose. These travelers represent a style of travel, motivation, or method that informs and inspires us. Last year, more than 1,500 nominations were sent in to National Geographic Traveler for their annual Travelers of the Year award. The magazine staff selected those who turned trips into opportunities to assist with conservation efforts, connect with local cultures, volunteer, challenge themselves, deepen familial and community bonds, and engage the world in a meaningful way. This Thursday, National Geographic will host a discussion with seven of their 2013 winners. And WeLoveDC wants to send one of our readers to this insightful program with a pair of tickets to the program and reception! Panelists at the evening program will be Hilda and John Denham, who established the Pacuare Nature Reserve in Costa Rica to protect turtle nesting areas; Alison Wright, a photojournalist who launched the Faces of Hope Fund to provide medical assistance, education, and aid to children around the globe; Shannon O’Donnell, who began Grassroots Volunteering, a database of volunteering and sustainable tourism opportunities; Molly Burke and Muyambi Muyambi, founders of Bicycles Against Poverty in Uganda; and Tracey Friley, a youth travel advocate who began the Passport Party Project for helping underserved girls get their first passports. We’re now in our fourth year partnering with the National Geographic Museum and their Nat Geo Live series of programming. They’ve kicked it up a notch this year to help celebrate the organization’s 125 years. The wide-ranging lineup over the next few months includes theatrical performances, explorer talks, holiday concerts, film screenings, new “Inside the Geographic” tours and even a Scottish whisky tasting. As the Society continues its celebration, Nat Geo Live’s offerings reflect the Society’s history of connecting audiences to people and places that inspire us to care about the planet. The Museum has graciously continued our monthly drawings for a two readers to win a pair of tickets each to a program of their choice. To enter, just comment below with what two programs you’d most like to see; make sure you use your first name and a valid email address. On Wednesday, September 4 we’ll randomly draw two names from the comment list. Here is what’s being offered this month. This one-man play, written by Jim Lehrer, directed by Jeremy Skidmore and starring Rick Foucheux, reveals the extraordinary life of Alexander Graham Bell. Best known for his invention of the telephone, the play shows many other facets of this daring, disorganized genius. He was a deeply committed family man, teacher of the deaf, holder of 47 patents and National Geographic’s second president. Join National Geographic author, artist and resident bird expert Jonathan Alderfer on an urban birding adventure. After breakfast at the Society and a private viewing of the exhibition “A New Age of Exploration,” guests travel to Kenilworth Aquatic Gardens by coach to observe waterfowl and migratory birds. After a picnic lunch at the National Arboretum, they return to National Geographic for a signed copy of Alderfer’s most recent book, National Geographic Pocket Guide to the Birds of North America. See the world premiere of the National Geographic Channel special National Geographic Photographers: The Best Job in the World and get an insider look at photography at National Geographic through the eyes of photographer Cory Richards as he travels to a remote mountain range in Antarctica to cover a climbing expedition for National Geographic magazine. The film features interviews with several of the Society’s most celebrated photographers. The screening will be followed by a discussion with photographer Mark Thiessen and executive producer Pamela Wells. Award-winning National Geographic Channel filmmaker Bryan Smith shares gripping moments from his assignments documenting extreme sports in the world’s most challenging environments. He has repeatedly tested the limits while producing films like “The Man Who Could Fly,” about free climber and BASE jumper Dean Potter, and “Alaska Wing Men,” following Alaskan bush pilots on critical missions. 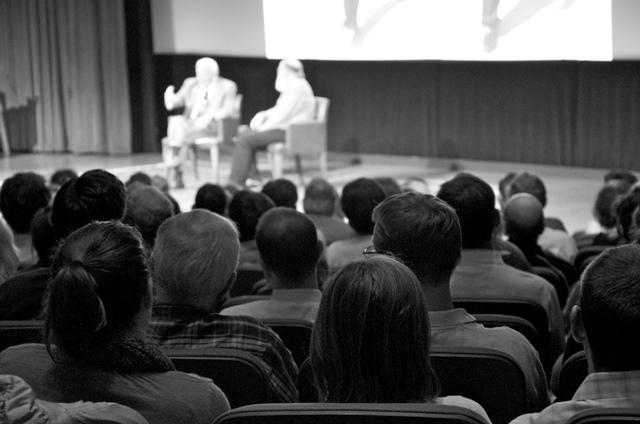 All events take place in Grosvenor Auditorium at National Geographic’s Washington headquarters. Tickets may be purchased online, via telephone at (202) 857-7700 or in person at the National Geographic ticket office between 9 a.m. and 5 p.m. Tickets must be purchased by Sept. 20 to ensure guaranteed Early Bird Pricing. Free parking is available in the National Geographic underground garage for programs that begin after 6 p.m. In their new original play, the Young Playwrights’ Workshop asks the question, “Do people change?” Set on New Year’s Eve, their latest collaborative effort delves into the lives of diverse characters, from a spoiled socialite to a hardworking waiter. The Young Playwrights’ Workshop is an after-school student theater ensemble and part of the Young Playwrights’ Theater (YPT). The students wrote the play together and will perform it themselves when they premiere Young Playwrights’ Workshop Presents this Monday at the Source Festival. YPT’s artistic director Nicole Jost leads the after-school workshop. Jost is a local playwright and alumna of YPT’s playwriting program. I talked with her about the show’s evolution and what it means for DC. The National Geographic Live series began a couple weeks ago, so our apologies for getting this to you a little late. Nonetheless, the good folks over at the NG Museum are giving away two pairs of tickets to our readers for (almost) any one of their great programs over the next few weeks. Entering is easy: in the comment field below, give us your name and two of the programs from the following list you’d like to see. We’ll randomly draw two commenters and provide each with a pair of tickets to one of the programs they selected! The drawing will occur around noon on Tuesday, 2/19 and winners notified that afternoon. All events are at the Grosvenor Auditorium at the National Geographic Museum, located at the corner of 16th and M Streets, NW. Parking is free for programs starting after 6 pm. If you’d like to attend and don’t win, you can contact the box office to purchase tickets. Spend an evening with Alexandra Fuller, an award-winning writer and National Geographic contributor who has converted the experience of growing up amidst war and revolution into a powerful literary voice. Raised in Zimbabwe by English expats, Fuller’s coming-of-age experience during that country’s independence struggle provided material for two compelling memoirs, Don’t Let’s Go to the Dogs Tonight and Cocktail Hour Under the Tree of Forgetfulness. Join us for a moving exploration of Africa—and beyond—in a conversation hosted by National Geographic Traveler editor at large Don George. I couldn’t attend in person, so I settled for the live webcast. And I’ve spent time re-watching the panels as well, because there was so much information and passion involved I couldn’t catch all of it the first time around. I could probably write several blog posts about the topic, and may yet in the future. If you’ve ever wanted to learn how to hem jeans, or read Shakespeare, or just explore something new, Knowledge Commons DC might be able to help. KCDC is DC’s floating school, where locals meet all over the city to learn something new for free. They offer sessions once every quarter, including June. This month, they’re also celebrating a year of free education in the city. June’s session is underway, and spots are still available in some of the classes. The instructors will teach you just about anything; but if there’s something missing from the list that you know how to do, you can propose to instruct a course of your own for the next session. KCDC courses take place in public spaces all over DC, from Metro cars to parks and plazas. See individual course listings for more info. The Washington Home & Garden Show starts up next Friday and the event’s new management has been lovely enough to give WeLoveDC 5 pairs of tickets to give away to our readers. 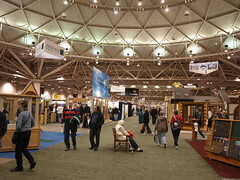 This year’s three day event features 16,000 square feet of show featuring the latest in landscaping and outdoor lifestyle trend, celebrity guests (such as Todd Davis from HGTV’s Room Crashers and Sasha Andreev from HGTV’s Curb Appeal), “Innovation Avenue,” a one stop shop for the latest in home decor, kitchen, bath, and outdoor living, the IKEA Haute Design Show, a haute design comes to life during a chic runway presentation, and outstanding local professionals on hand to show DC how to transform homes into ultimate living spaces. I don’t you know about you, but the DIYer, Urban Homesteader, Interior Decorator in me is pumped. Leave a comment on this post using a valid e-mail address before Tuesday, March 6 at 5pm. One entry per e-mail address. We’ll close off entries at 5 PM and winners will be randomly selected and notified by e-mail. If you’re chosen as the winner, you must respond to the e-mail within 24 hours or you will forfeit the tickets and we’ll select another winner. The winners will be able to pick up the tickets under their name at will call at the Walter E. Washington Convention Center. 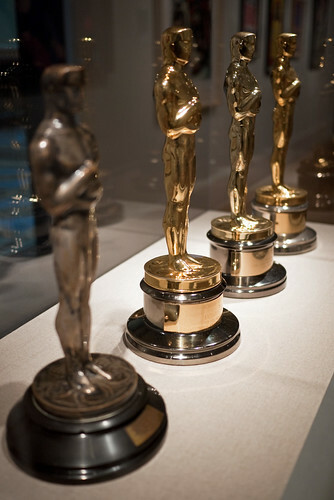 Here Are Your 84th Academy Awards Predictions From We Love DC! Tonight little gold men will be handed out to Hollywood’s best and brightest while Billy Crystal hams it up with mildly funny jokes. It’s Oscar Night in America and once again I am here with my picks along with some thoughts from the We Love DC crew and others who shared the same annual tradition as I: to watch as many Oscar nominated films before the Academy Awards as possible. the animals / I sing for them. Emil Her Many Horses is, by first appearance, a quiet, unassuming gentleman. A museum specialist in the office of Museum Programs at the Smithsonian’s National Museum of the American Indian (NMAI), he is responsible for the facility’s latest exhibition “A Song for the Horse Nation.” A member of the Ogala Lakota nation of South Dakota, his expertise on the Northern and Southern Plains cultures is well served and seen in the exhibit that opens to the public tomorrow. NMAI’s latest offering is a touching and brilliant display of how the horse has deeply impacted and affected Native cultures since their introduction to the Americas in the 17th century. “The exhibit tells the history of the horse; that they were here once before, migrated to Europe, and returned as the horse we know today,” explained Her Many Horses. “They changed Native culture. The horse had a major impact on hunting, warfare, travel, spirituality. These were big changes.” Changes that extend beyond the European vision of the animal. Seen as a beast of burden, a tool, a weapon, the horse was brought and used by European explorers and colonists early in America’s “New World” history. And their introduction, according to many Natives, was probably one of the biggest positive changes brought about by the white man. Happy Friday everyone! In celebration of the end of the week, BLT Steak and WeLoveDC are giving away two seats for this Saturday’s (aka tomorrow’s) South American Asado cooking class. The two hour plus class will be held at BLT Steak, starts at 12:30pm and features in-depth instruction from Executive Chef Victor Albisu on how to prepare exotic and delicious barbecue from South America. Oh, did I mention you also get a filling four-course lunch of the dishes demonstrated during the class? Well, yeah, you do. 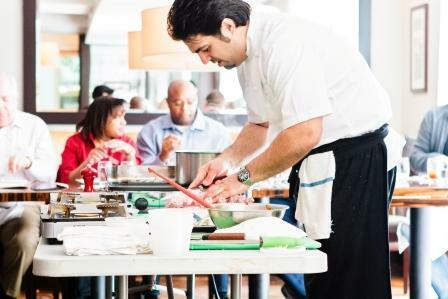 BLT holds these executive cooking classes six times a year and seats generally go for $100. So for all you aspiring chefs, this is the perfect opportunity to glean some 5 star tips, tricks and creative methods of preparing foods AND fill your belly with yummy goodness. To enter for the giveaway, simply leave a comment on this post using a valid email address (one entry per email address, please) between 11am and 1pm today. Entrants must be able to attend the class in person, so check your schedules. If you aren’t declared the winner, you can always make your own reservations with Erica Frank at 202-689-8989 or erica@bltrestaurants.com. 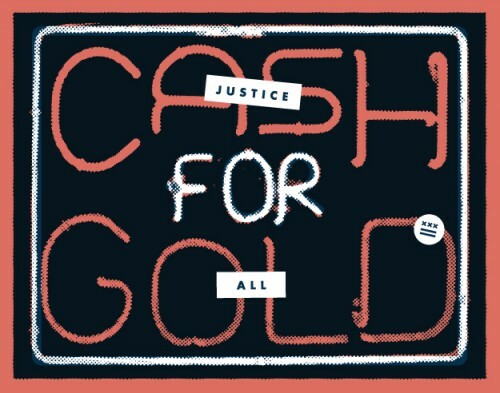 Society6, an organization that connects artists with unique opportunities and empowers them to make their artwork available for sale without giving up control of their rights, recently completed an innovative project titled “50 And 50.” The idea behind this endeavor was to recruit 50 designers, one per each state, and have them illustrate their state motto using the same color-scheme. The results are modern, yet historical grounded, designs that would make any wall fit for oversized art proud. May winds down the Spring 2011 National Geographic Live series of programs. If you’re looking for something to do in the evenings, we highly suggest you check out some of their offerings this season. And to provide further incentive, we are providing two lucky readers with a pair of tickets to an event of their choice this coming month! To enter the drawing, simply comment below using your first name and a legit email address, listing the two events from the following program list you’d like to attend. (Note that there is one event not eligible and we’ve noted it for you.) Sometime after noon on Wednesday (May 4) we’ll randomly select two winners to receive a pair of tickets (each) to one of their selections. 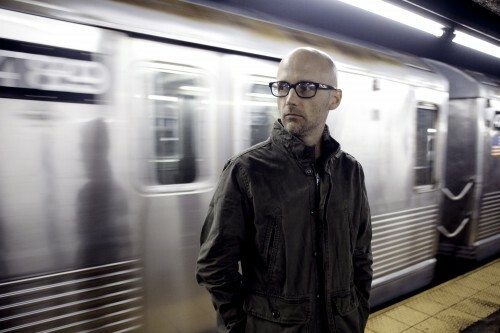 Moby has sold more than 20 million albums worldwide, played over 3,000 concerts in his career, and has had his music included in hundreds of films, such as Heat and The Beach. He has been taking photographs for as long as he’s been making music. See his riveting images and be among the first to learn about his much-anticipated new project. April brings another full month of programs at NatGeo for their popular National Geographic Live! series. If you’re looking for something to do in the evenings, we highly suggest you check out some of their offerings this season. And to provide further incentive, we are providing two lucky readers with a pair of tickets to an event of their choice this coming month! To enter the drawing, simply comment below using your first name and a legit email address, listing the two events from the following program list you’d like to attend. (Note that there is one event not eligible and we’ve noted it for you.) Sometime after noon on Friday (April 1) we’ll randomly select two winners to receive a pair of tickets (each) to one of their selections. You’ve got until 11 am on Friday to enter! 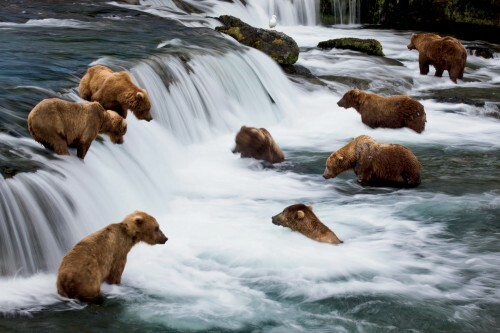 Michael Melford, veteran National Geographic photographer, has documented some of the world’s most pristine places. For a magazine story and new National Geographic book Hidden Alaska, he traveled to Bristol Bay, Alaska—both an important salmon breeding ground and location of enormous copper and gold deposits—where residents are being forced to choose between incompatible futures. Where Do Those Darn Potholes Come From? Last week, Mayor Gray and DDOT kicked off Potholepalooza 2011, our city’s intensified efforts to fill those tire-busting, shock killing road hazards. In an effort to let our powers combine, DDOT is asking DC residents to tell them about neighborhood potholes that need fixing. You can target these car nightmares and curse inducing potholes by phoning in (311), going online, tweeting or emailing DDOT. According to VDOT’s Pothole Hunter Phil Itwick, these little f*ckers are caused by water that gets into the pavement and expands and contracts with the changing temperatures. Mr. Itwick gives a fantastic, and entertaining, explanation on how potholes are fixed on both a temporary and permanent basis. Definitely worth the watch. The Duke Ellington School for the Arts in Washington, D.C. boasts a 98 percent graduation rate in a public school district that only graduates 56 percent of its students on time. It is also the only dual curriculum program on the public high school level that attracts students from the entire D.C. metro area. The school, founded in 1974, provides professional arts training and college preparation to talented D.C. public school students. Each student takes a full academic course-load and, additionally, majors in one of eight arts disciplines (Dance, Literary Media, Museum Studies, Instrumental or Vocal Music, Theater, Technical Design and Production, and Visual Arts), according to its website. An Ellington education is no easy feat. Students have longer school days than the average D.C.P.S. student. Ellington holds classes until 5 p.m. every day. Ellington has two staffs: arts and academics. 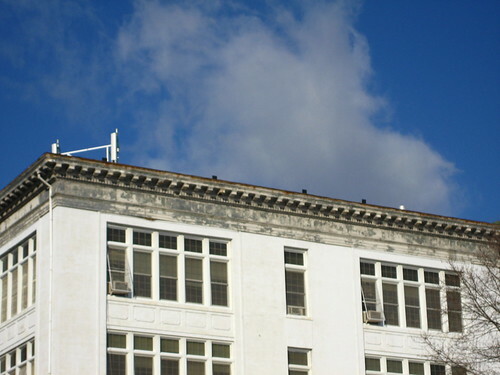 The respective faculties engage Ellington’s creative students with a curriculum that requires 34 percent more credits than other D.C. high schools.